Product prices and availability are accurate as of 2019-04-23 11:13:44 EDT and are subject to change. Any price and availability information displayed on http://www.amazon.com/ at the time of purchase will apply to the purchase of this product. 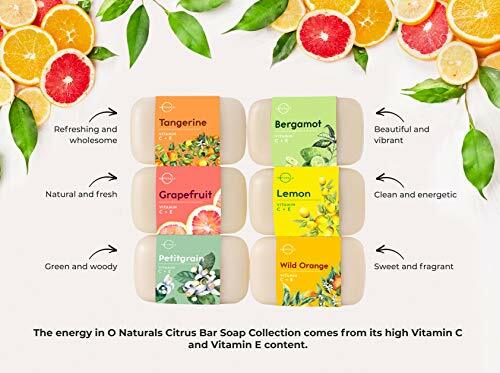 Energize your skin with O Naturals Citrus Bar Soap Collection! O Naturals Citrus Bar Soap Collection is a 6-piece vegan soap set designed to revitalize and invigorate you from top to bottom. The natural, fresh citrus scents are sure to rejuvenate and revive your skin. 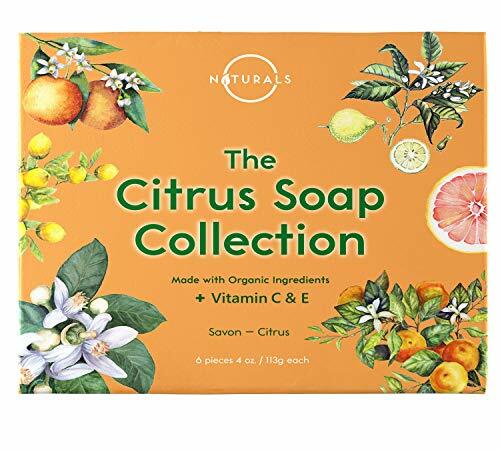 The energy in O Naturals Citrus Bar Soap Collection comes from its high Vitamin C and Vitamin E content. The Vitamin E will boost your skin's natural production of collagen. This promotes elasticity and firmness, a lovely boost for the feel and look of your skin. Vitamin E targets dry and damaged skin, repairing for the inside out leaving you with a smooth, even and blemish free complexion. The combination of these two ingredients leaves your skin brighter and energized! 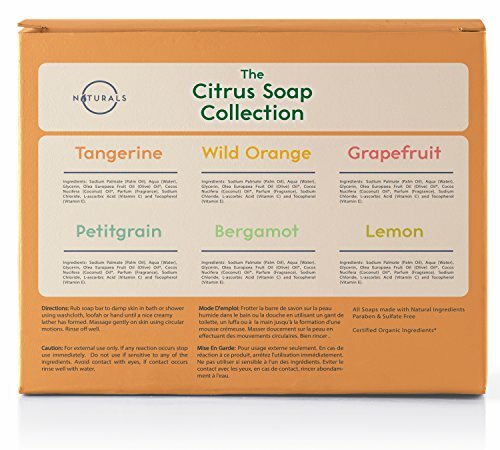 O Naturals did not forget to bring you this soap in six of delicious citrus scents. Tangerine, brings hints of one of your favorite summer fruits, refreshing and wholesome. Wild Orange, brings out the scent of nature's energy, perhaps a sweet surprise you would stumble upon on a summer walk outside. Grapefruit, gives it a hint of a natural, fresh fruit salad. Petitgrain, has a delightful greenish woody orange smell to it, like an orchard in the French Countryside. Bergamot, is perhaps the most beautiful of citrus scents bringing the combination of Lemon and Bitter Orange into a truly vibrant fragrance. Lemon, suggests the taste of lemonade on a warm day, a truly clean and energetic smell. 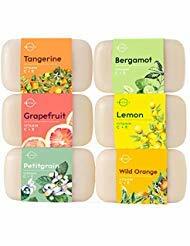 As can always be expected, this vegan 6-piece citrus bar soap set is made from only the best, natural ingredients that O Naturals prides itself in bringing to you. So go ahead and energize your skin with O Naturals Citrus Bar Soap Collection. 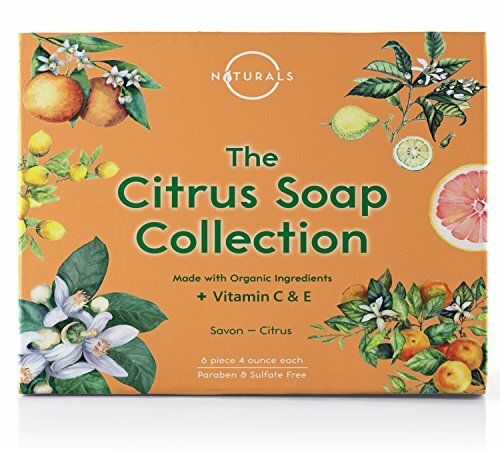 INVIGORATING: O Naturals Citrus Bar Soap Collection was created to revitalize and energize. With natural, fresh citrus scents to invigorate and rejuvenate. VITAMIN C & VITAMIN E: Vitamin C has been added to boost your skins natural collagen production, promoting elasticity and firmness. Vitamin E has been added to target dry and damaged skin. FRESH CITRUS: Six Scent varieties: Tangerine; Wild Orange; Grapefruit; Petitgrain; Bergamot & Lemon. 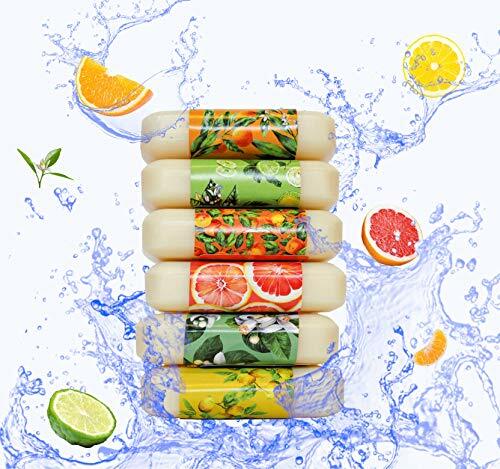 The natural, fresh Citrus, scents will leave you energized and revitalized. VEGAN: All Natural Ingredients, Paraben free, Sulfate free, no animal testing, cruelty free and environment friendly packaging. We stand by our products and are sure that you will love them too. We offer a 100% Customer Satisfaction Guarantee. Our customer's happiness is our top priority.